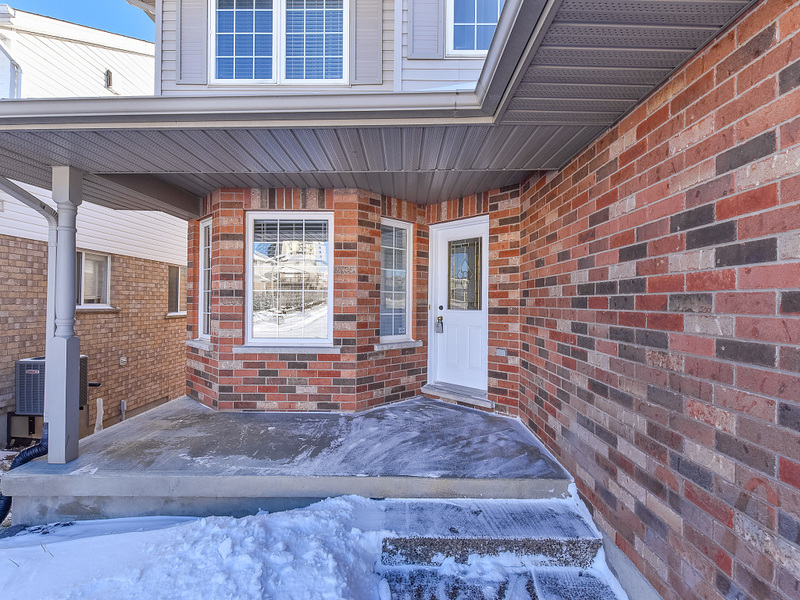 New driveway and exposed aggregate walkway to the entrance. 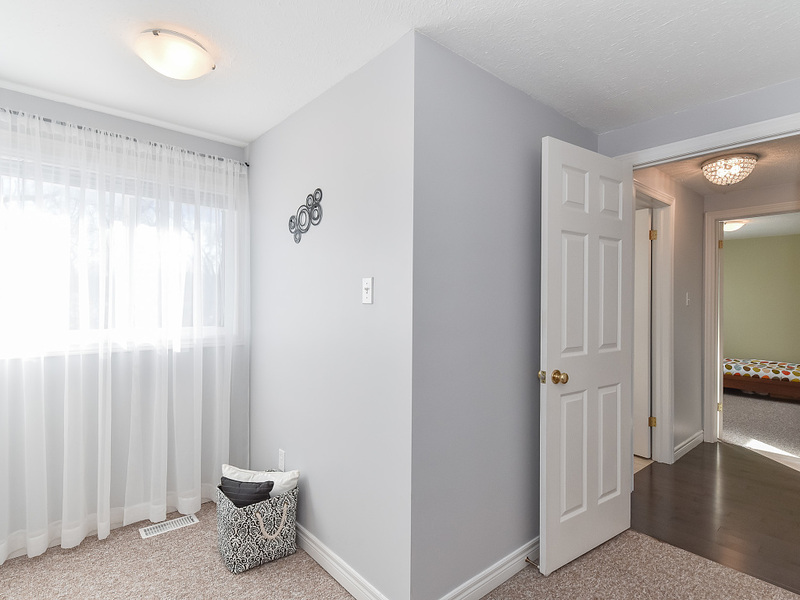 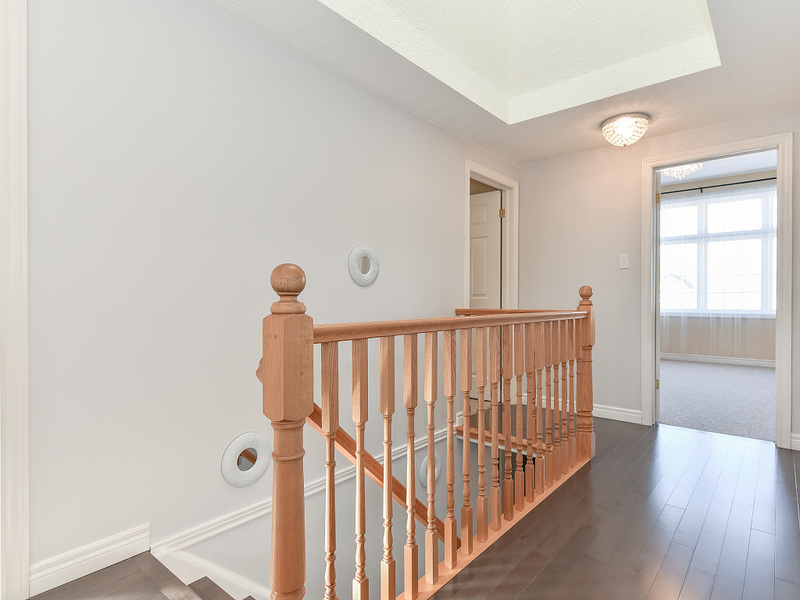 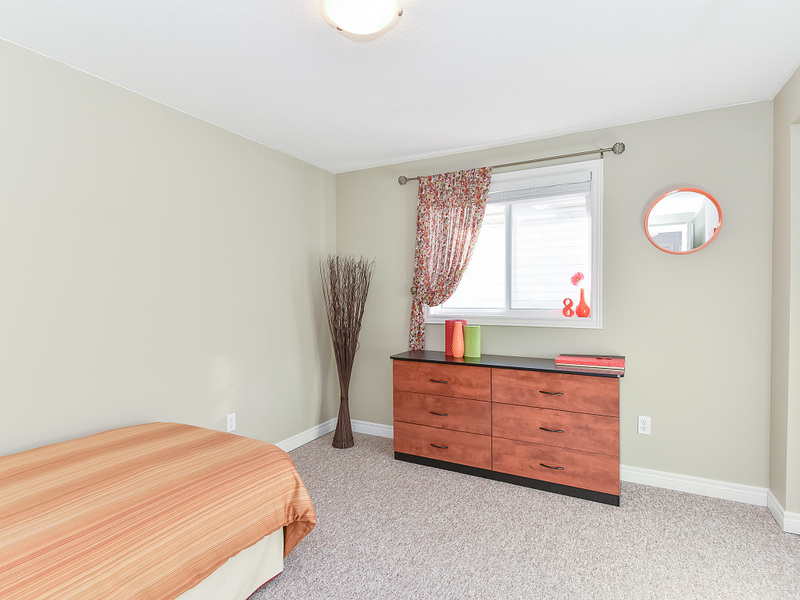 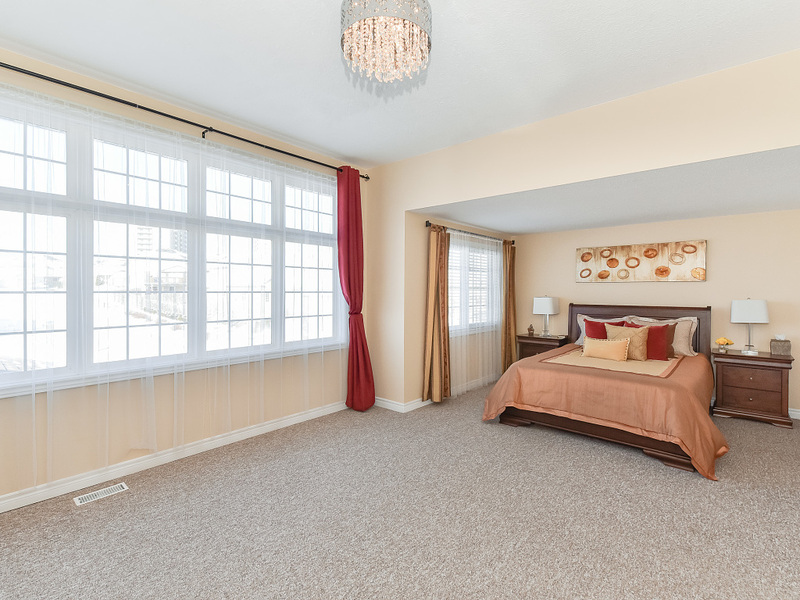 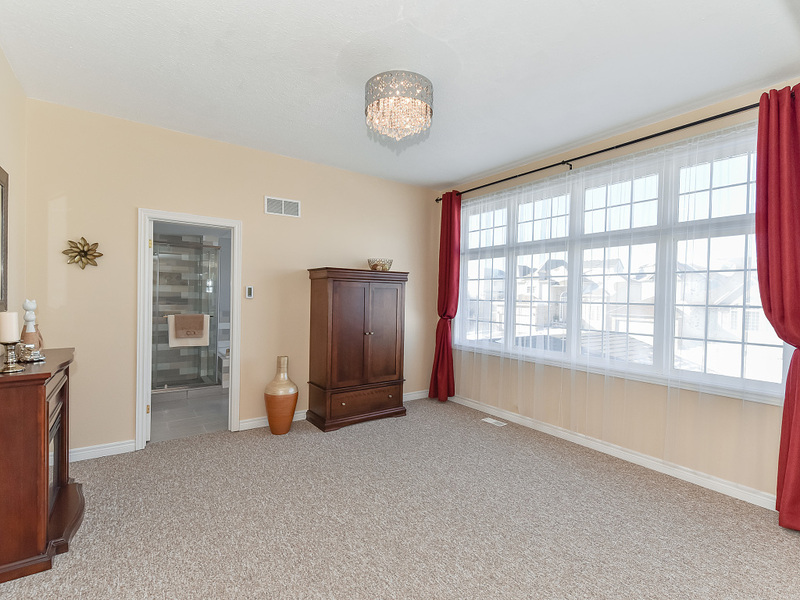 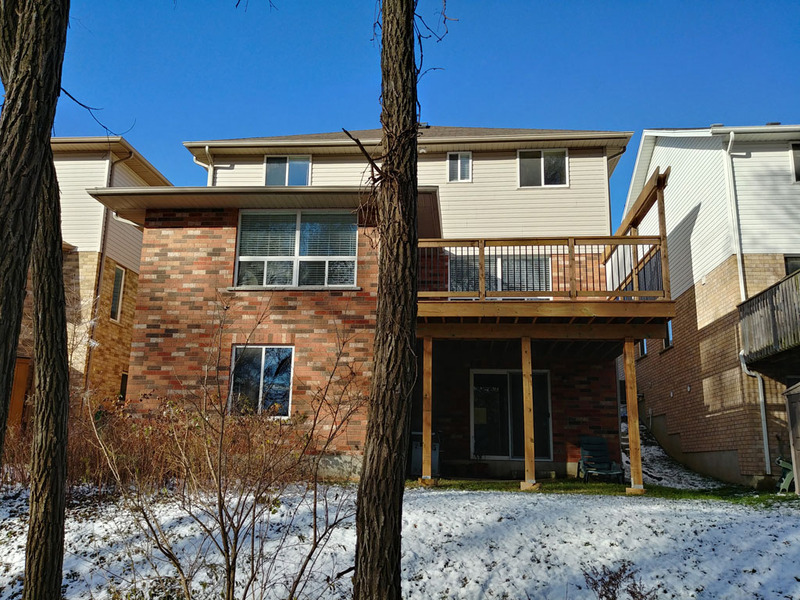 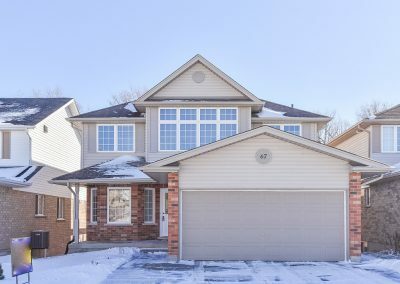 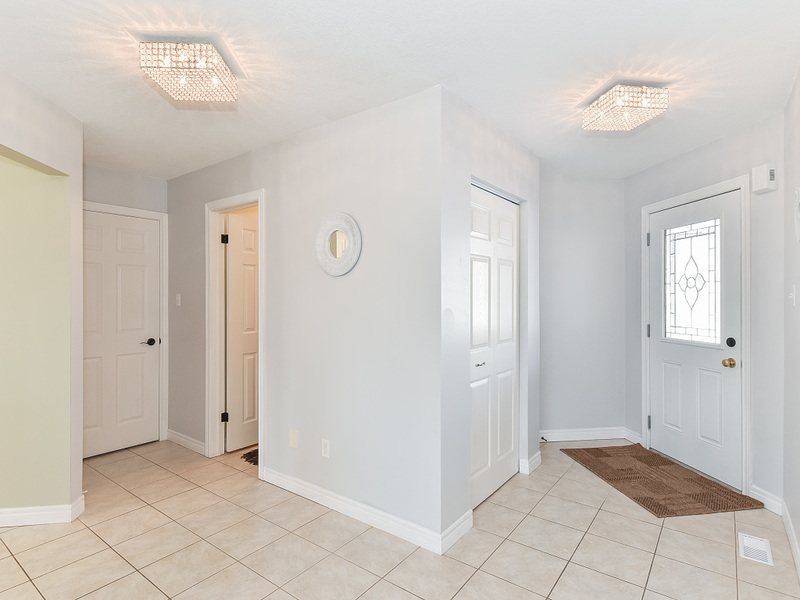 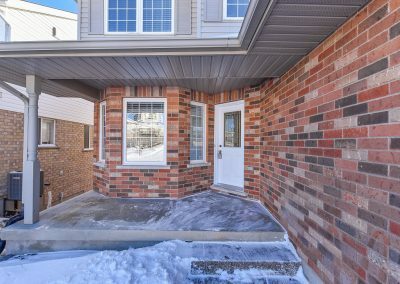 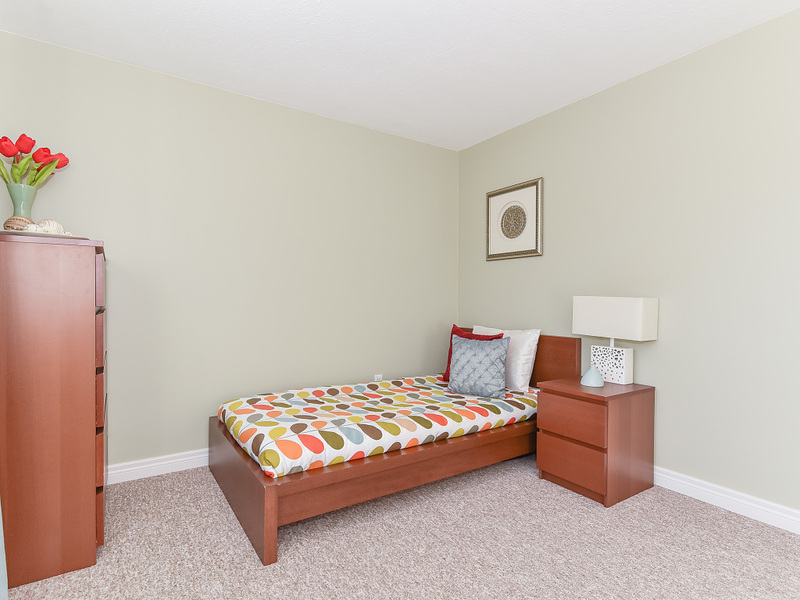 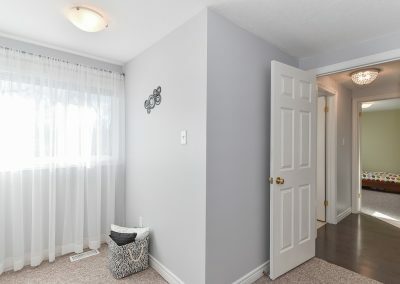 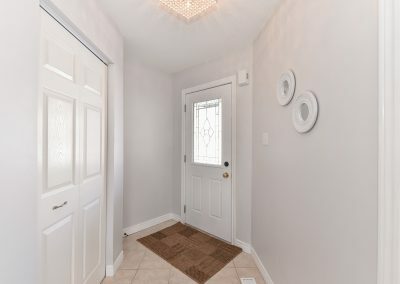 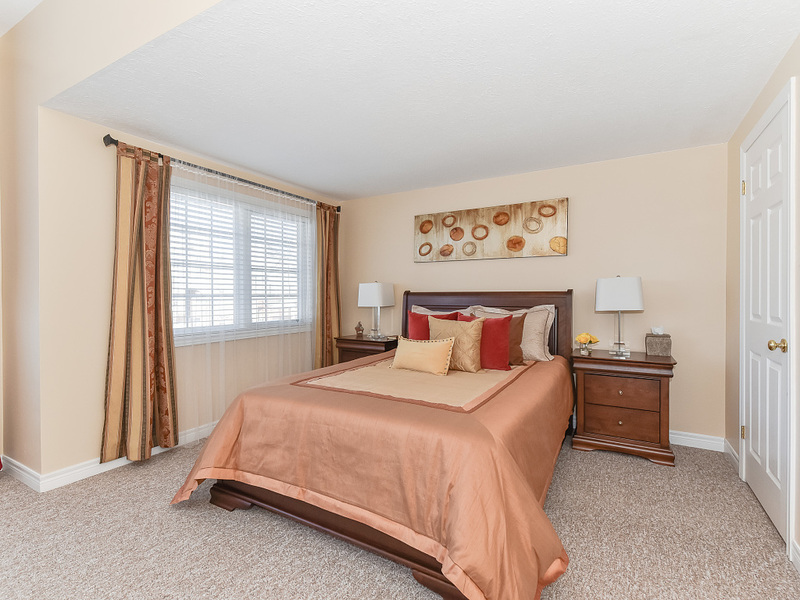 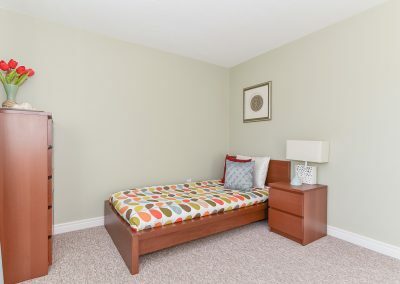 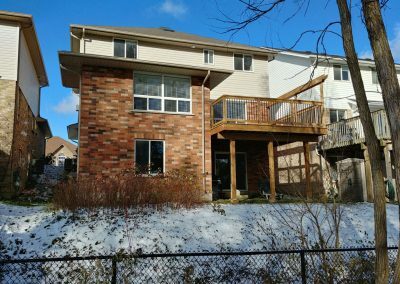 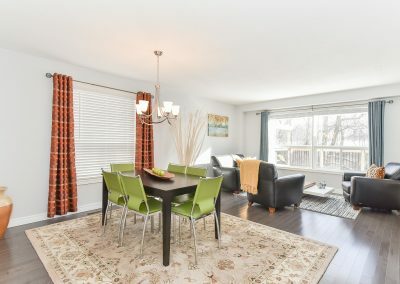 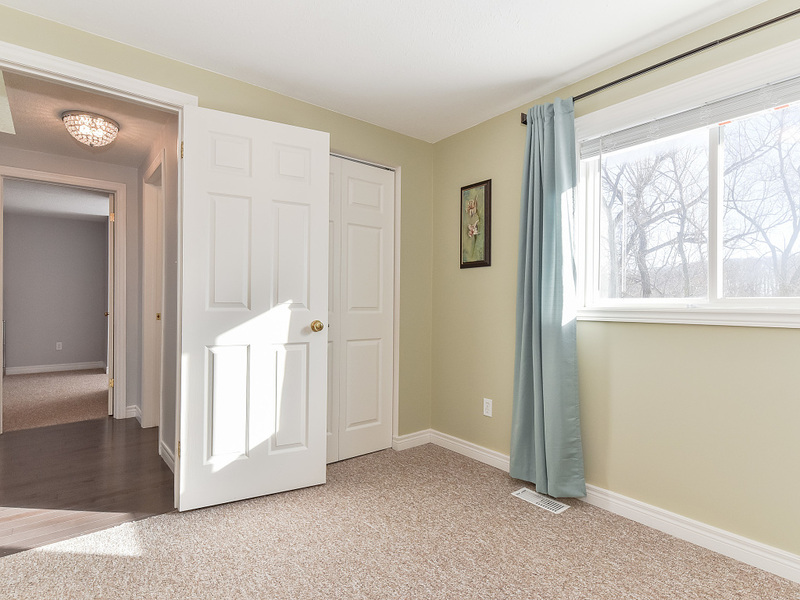 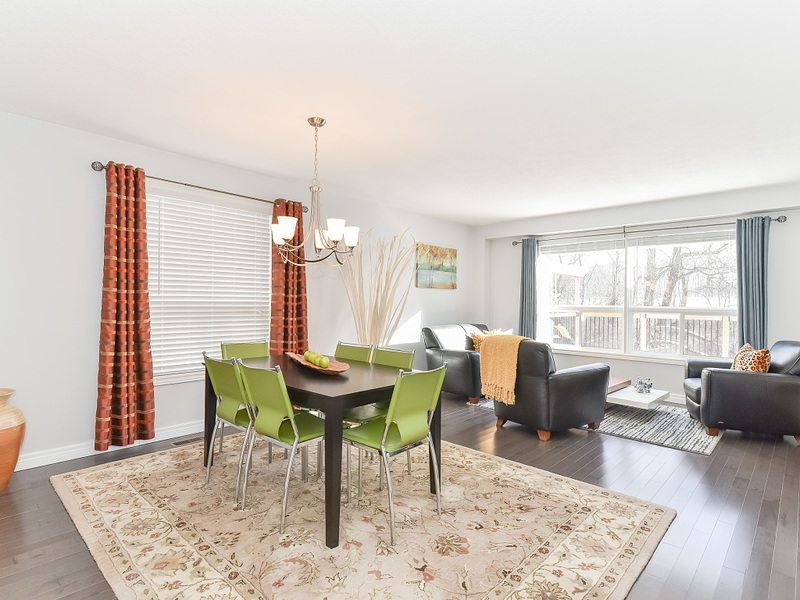 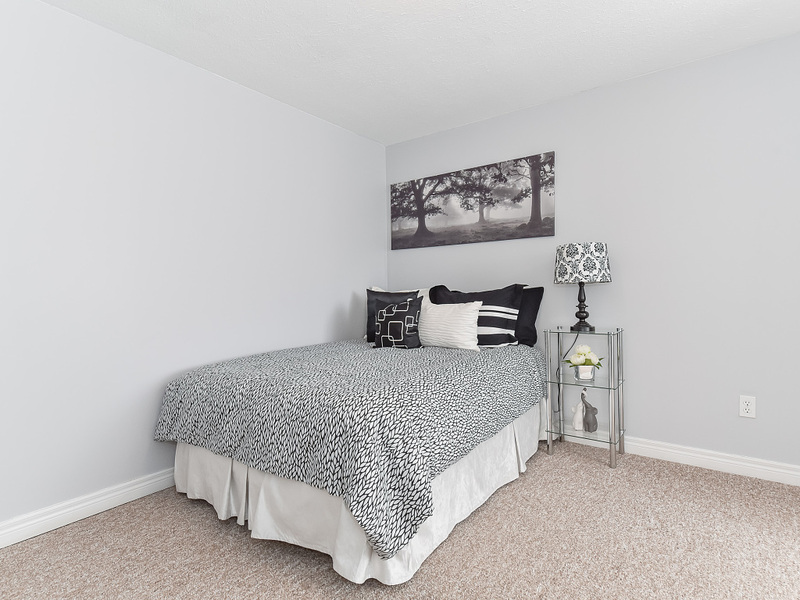 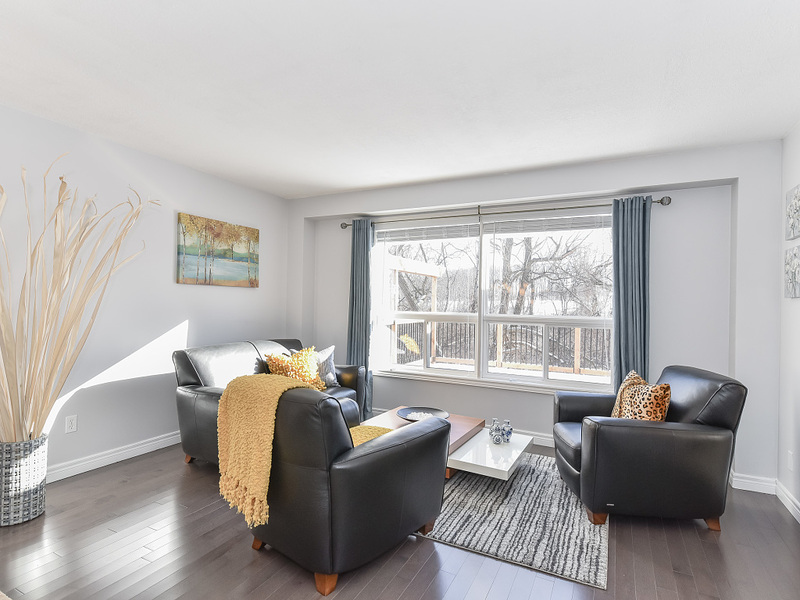 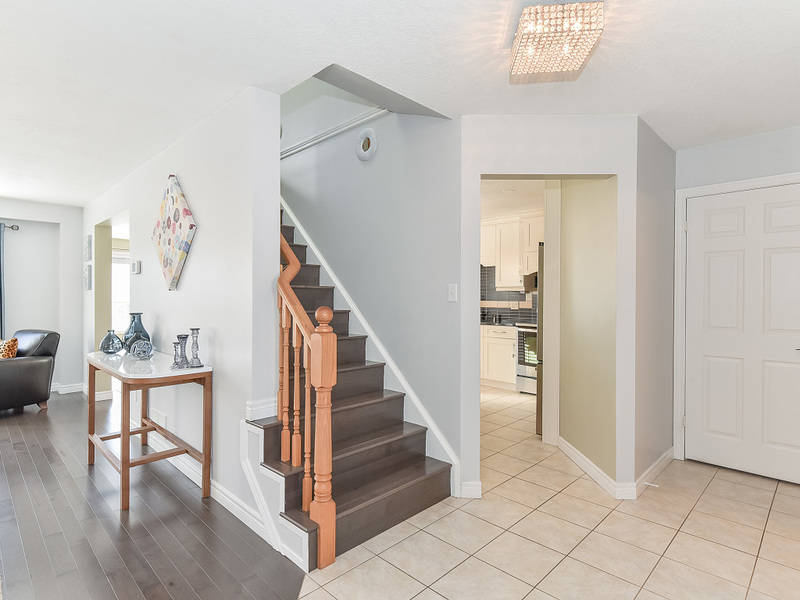 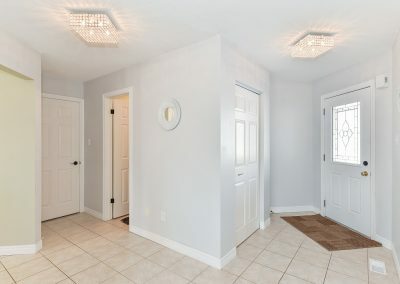 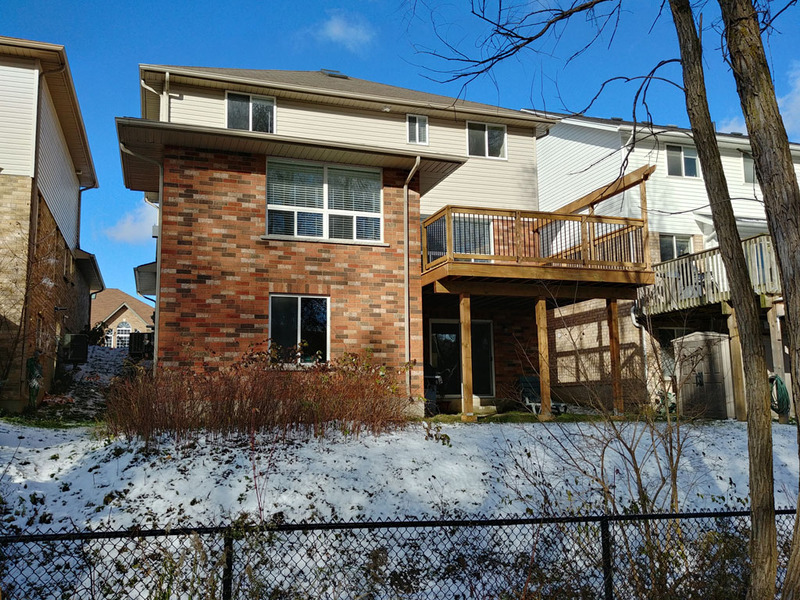 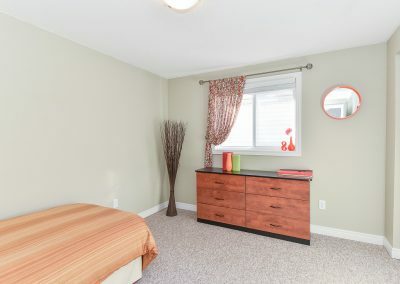 Carpet-free main floor with Canadian maple hardwood and ceramic tile flooring. 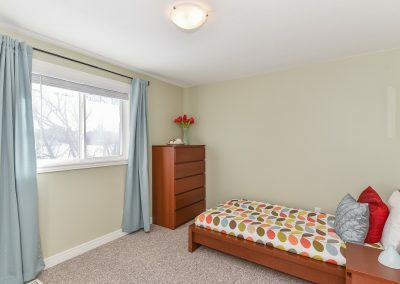 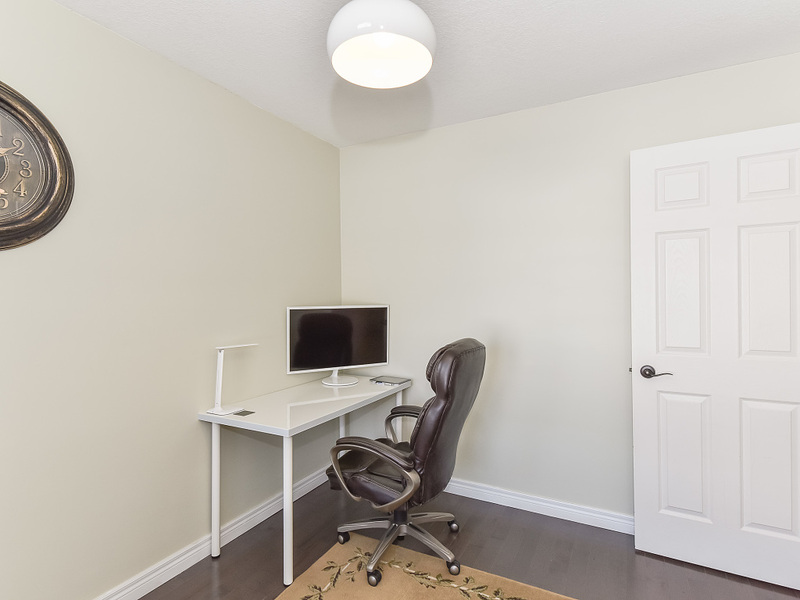 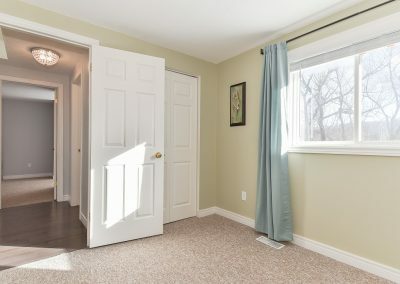 There is a bonus room by the entrance that can be used as a home office. Totally renovated kitchen with solid maple cabinets with soft-close doors/drawers, granite countertops and stainless-steel appliances. HUGE island with Alaska Gold granite with leather finish. 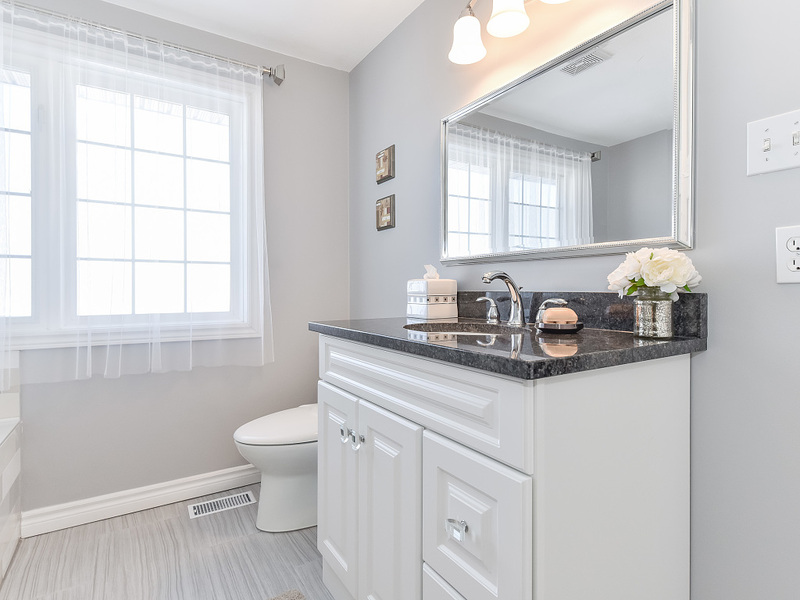 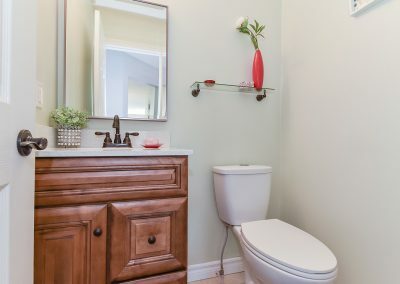 Powder room has been recently renovated; vanity with Mocha finish and ebony glaze; Quartz countertop; Mediterranean bronze faucet, towel bar, shelf, etc. 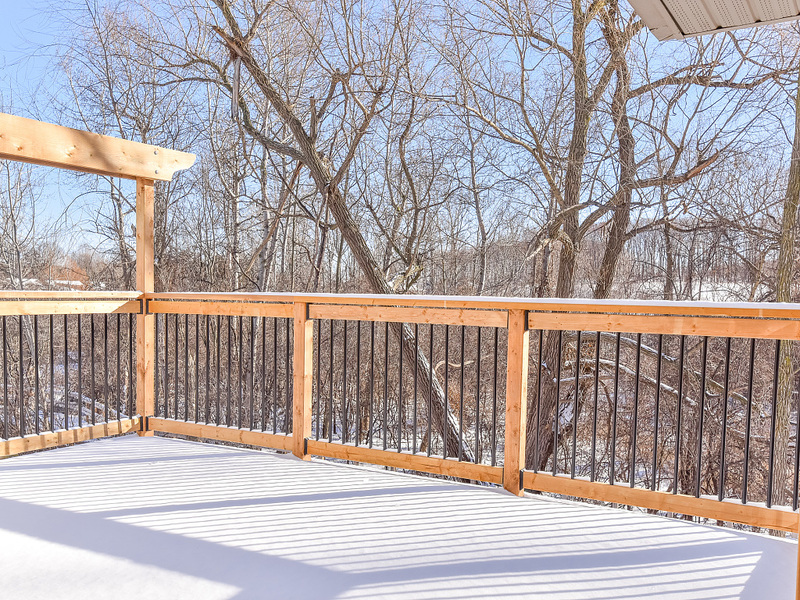 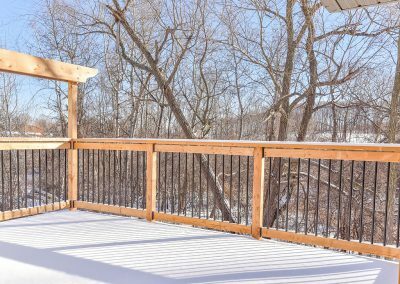 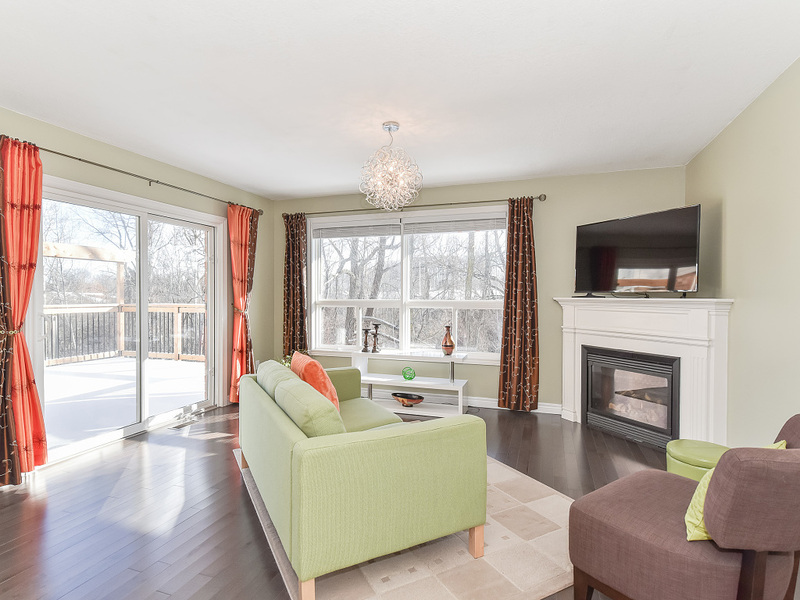 The family room has a corner gas fireplace and sliding door to 15 ft x 15 ft deck overlooking the forest. 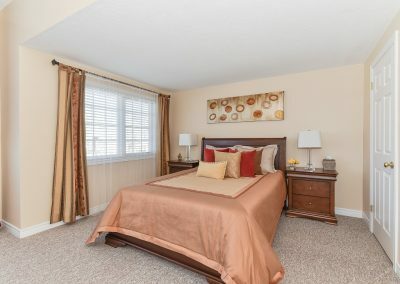 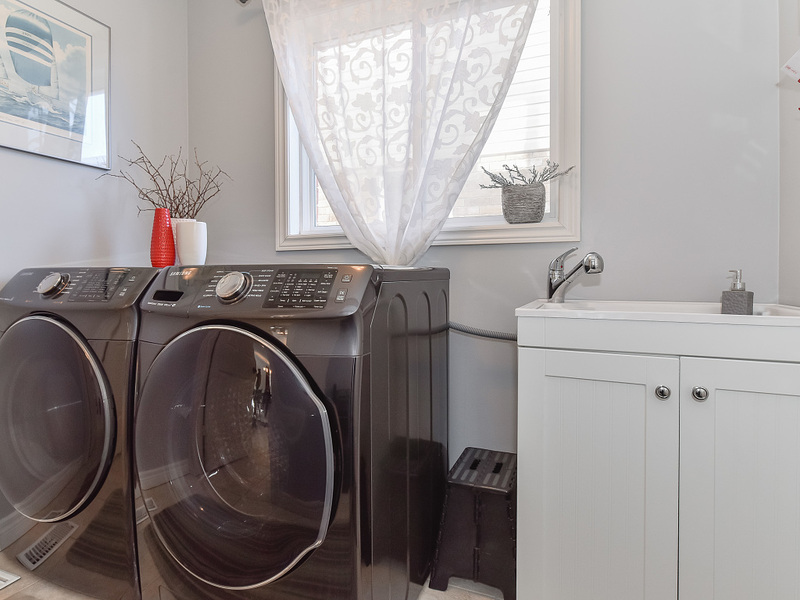 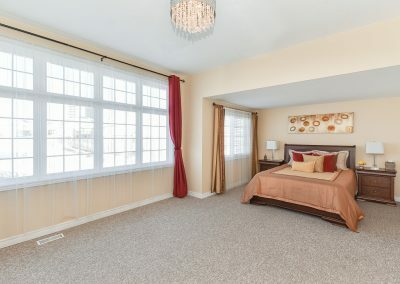 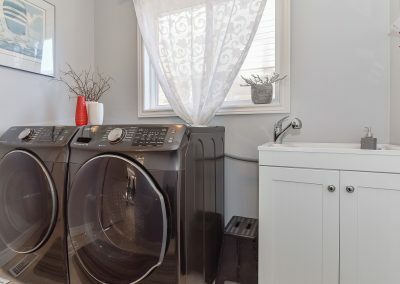 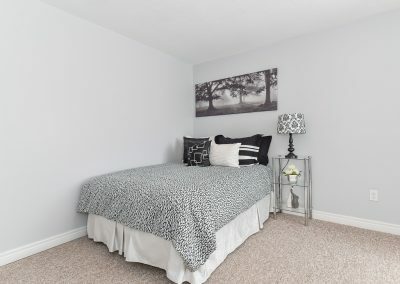 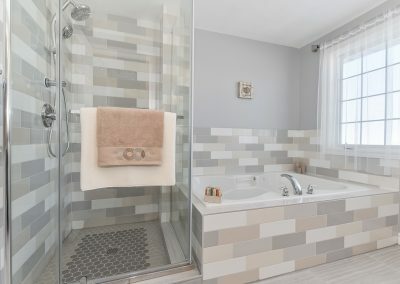 Large master bedroom with walk-in closet and luxury en-suite with jacuzzi tub, separate glass shower, Italian porcelain flooring, vanity with granite countertop, and in-floor heating. The walk-out basement has the potential to be a mortgage helper with enough space (approx. 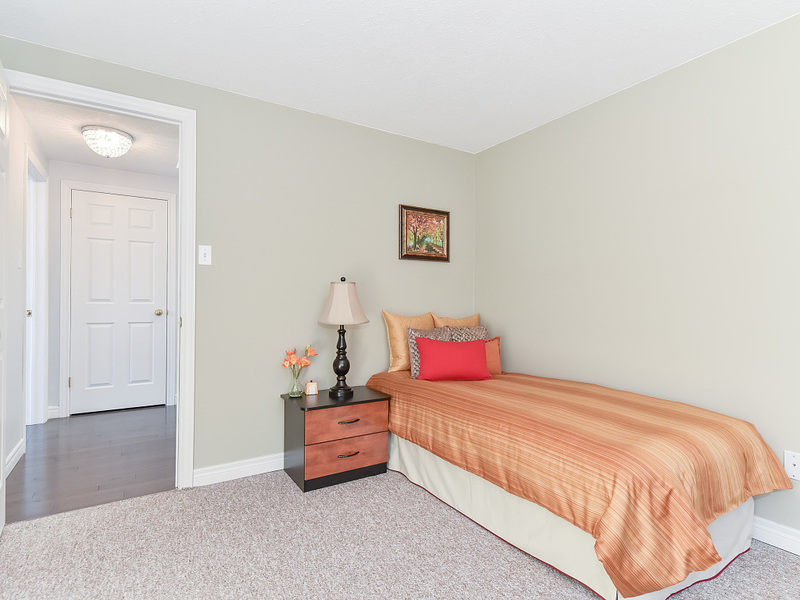 1,000 sq ft) for a 2 bedroom apartment with separate entrance. 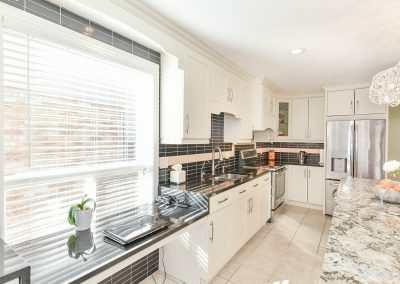 A second, complete kitchen is ready to be installed there. Bathroom rough-in. 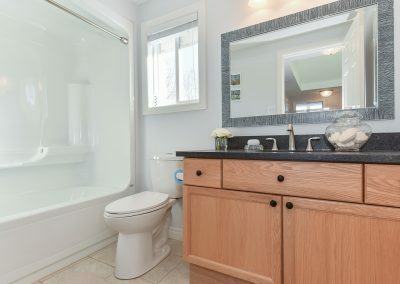 Hot water heater and dechlorinator owned. 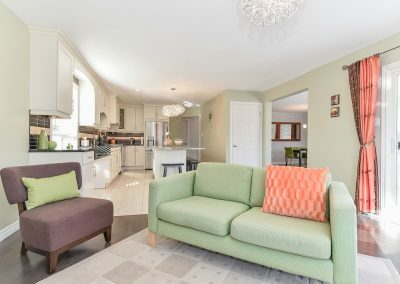 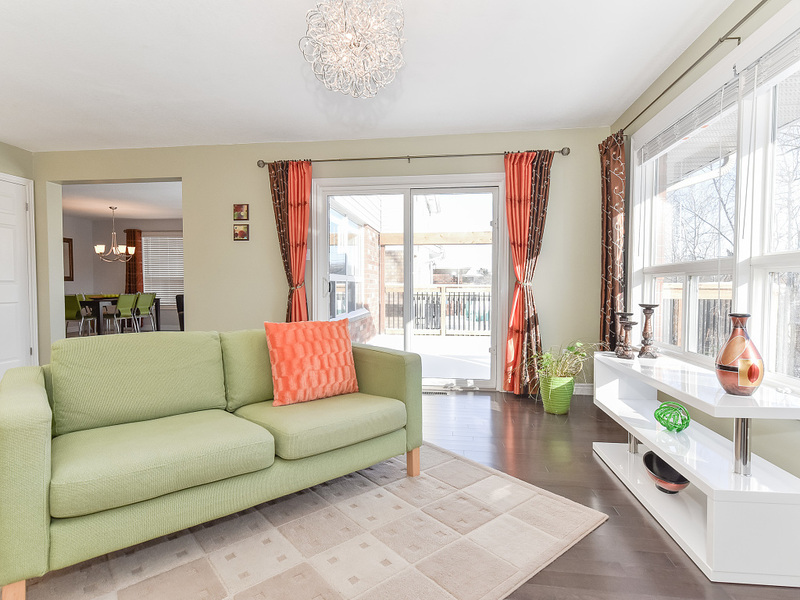 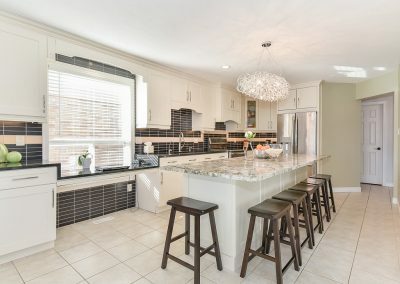 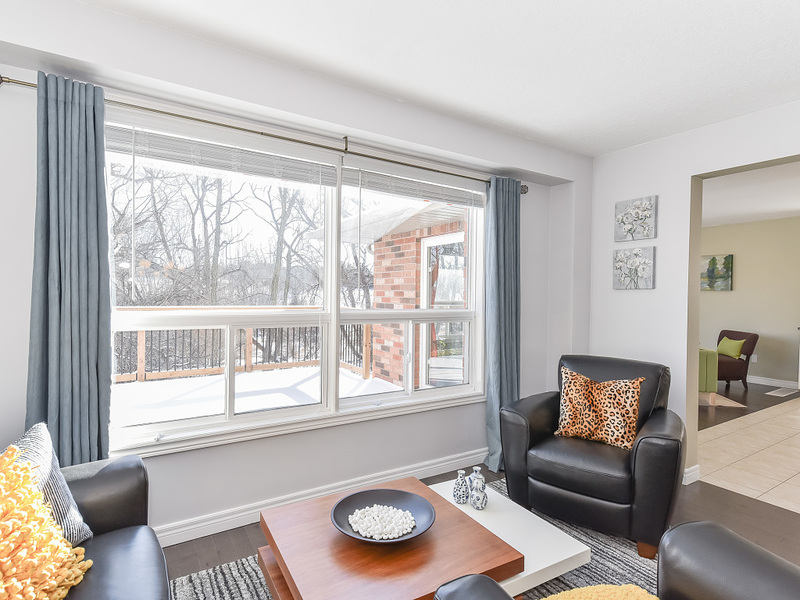 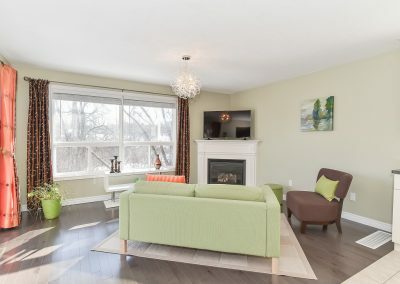 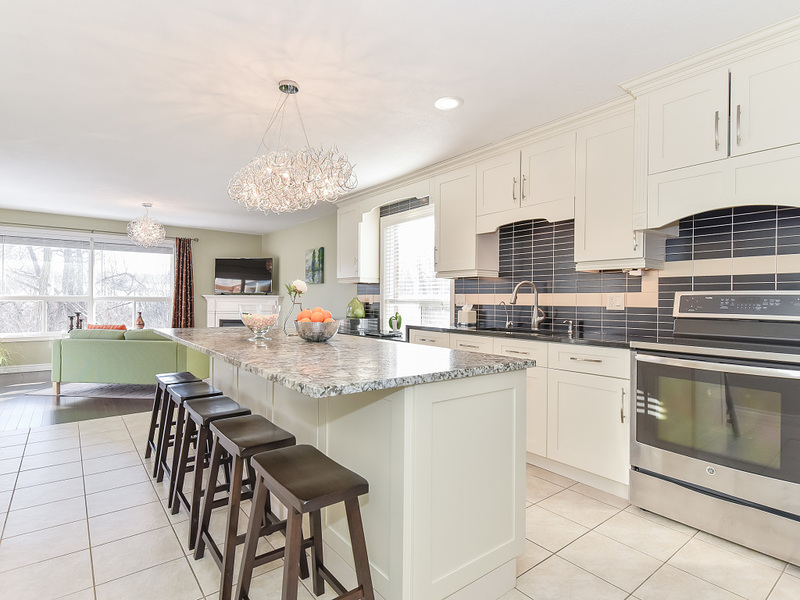 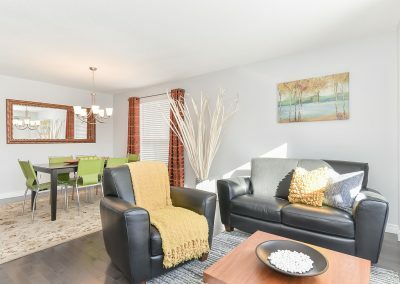 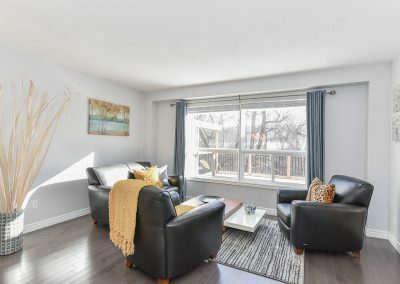 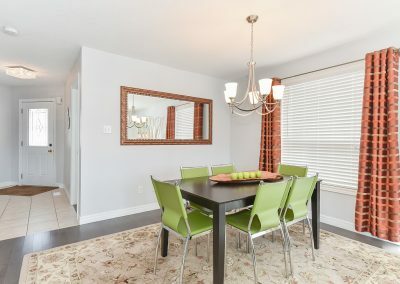 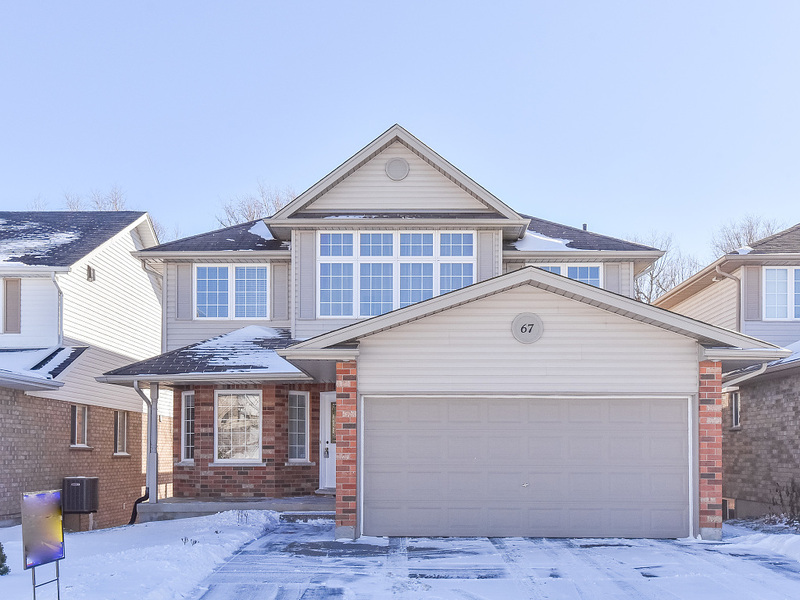 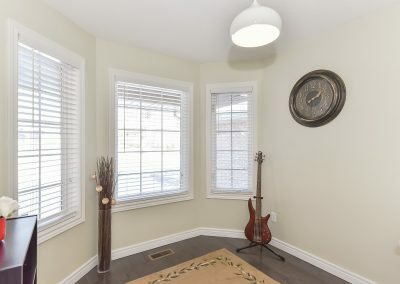 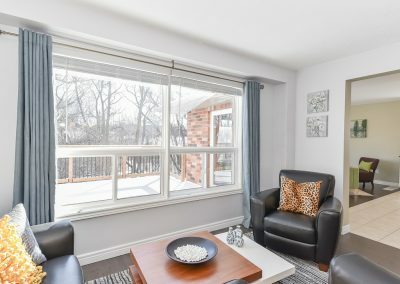 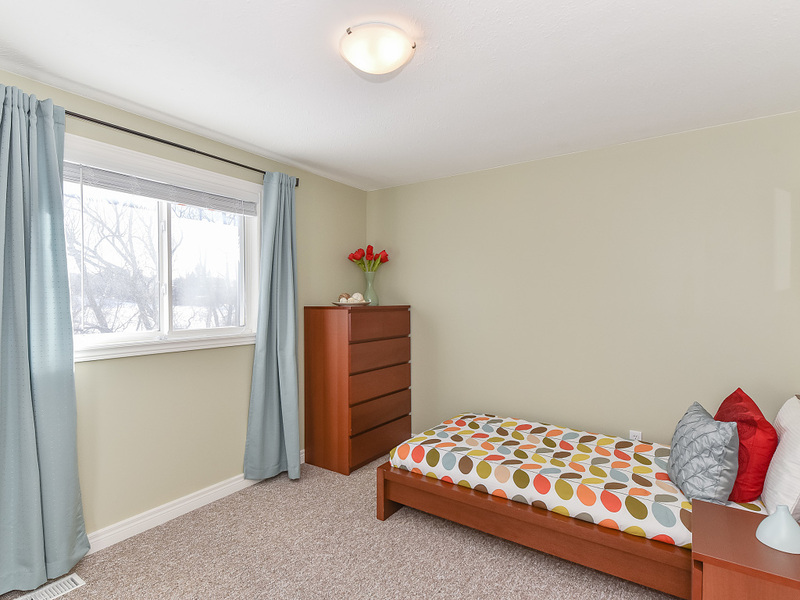 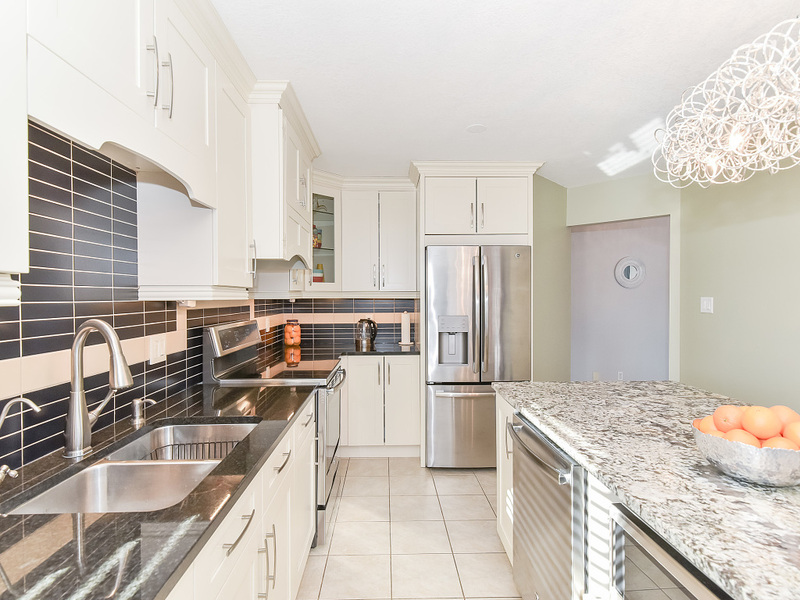 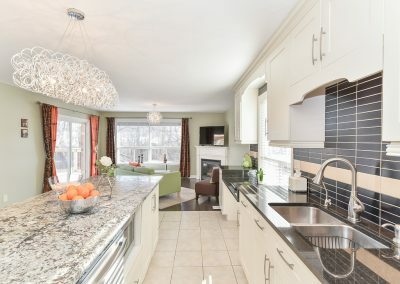 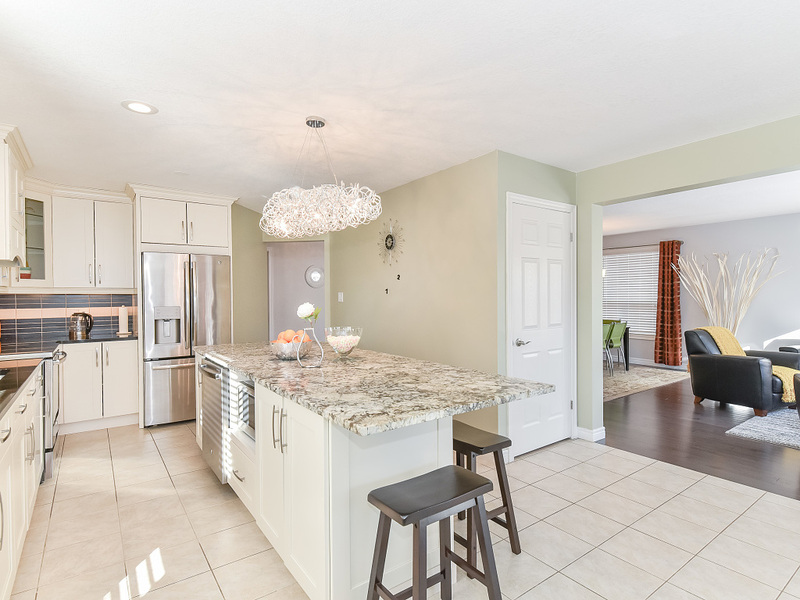 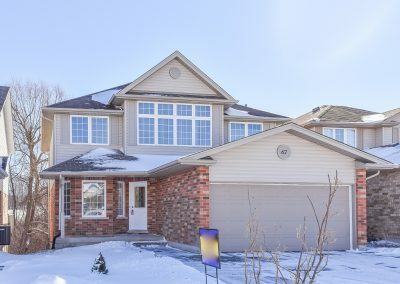 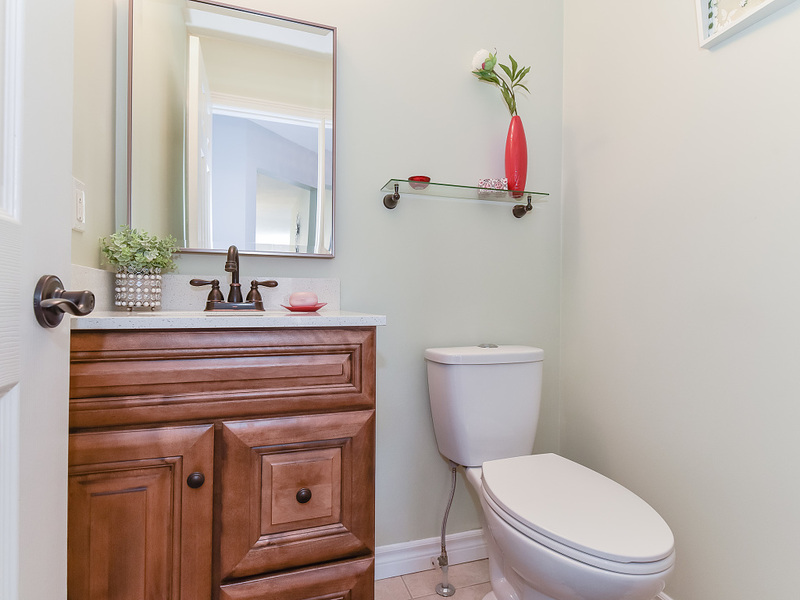 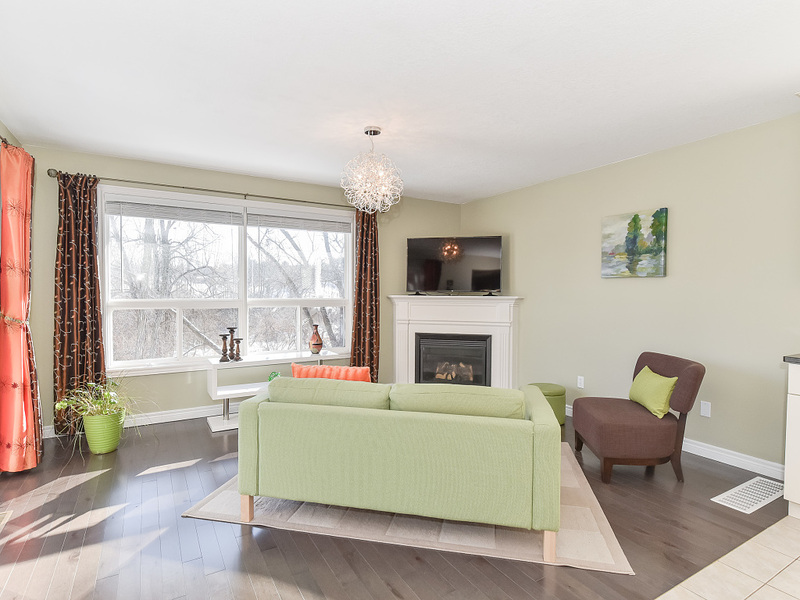 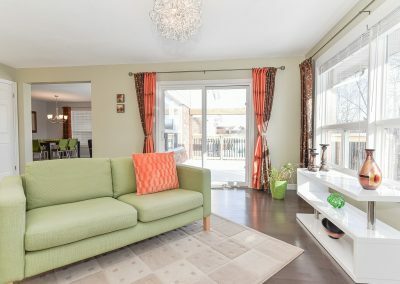 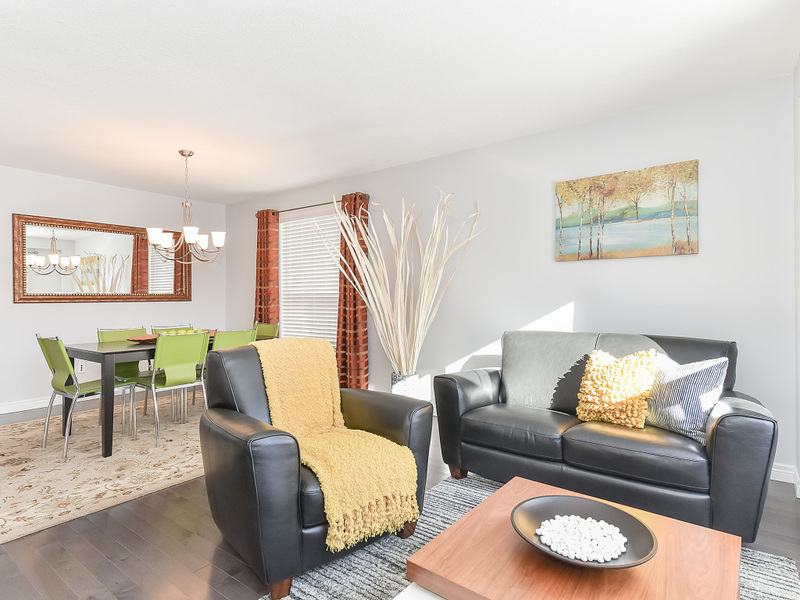 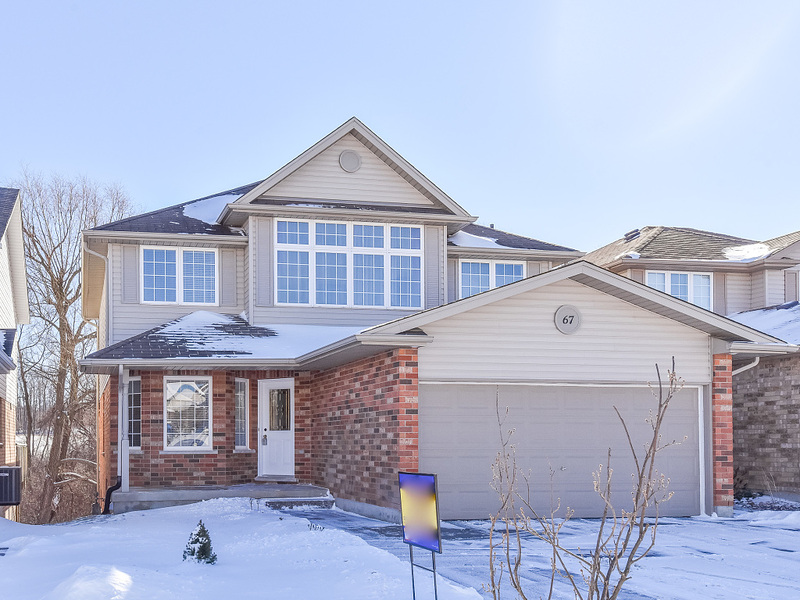 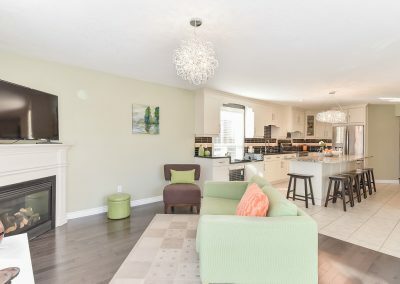 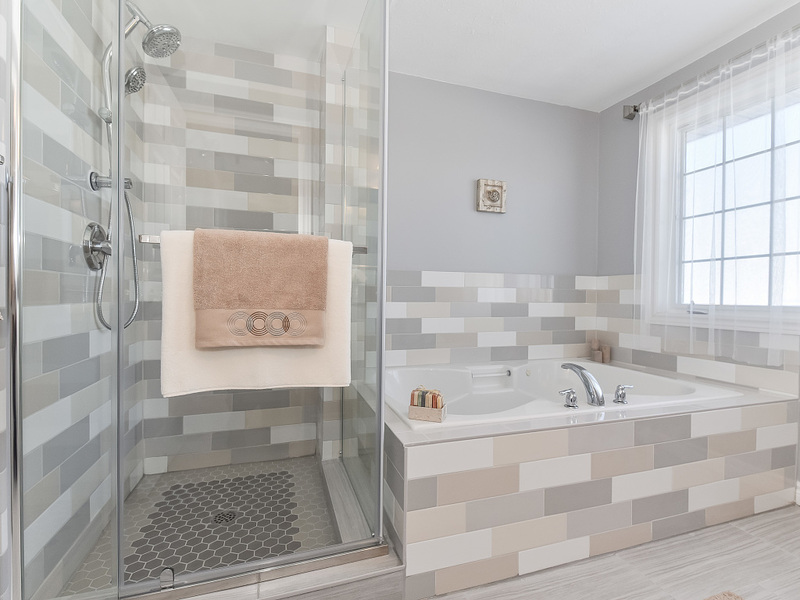 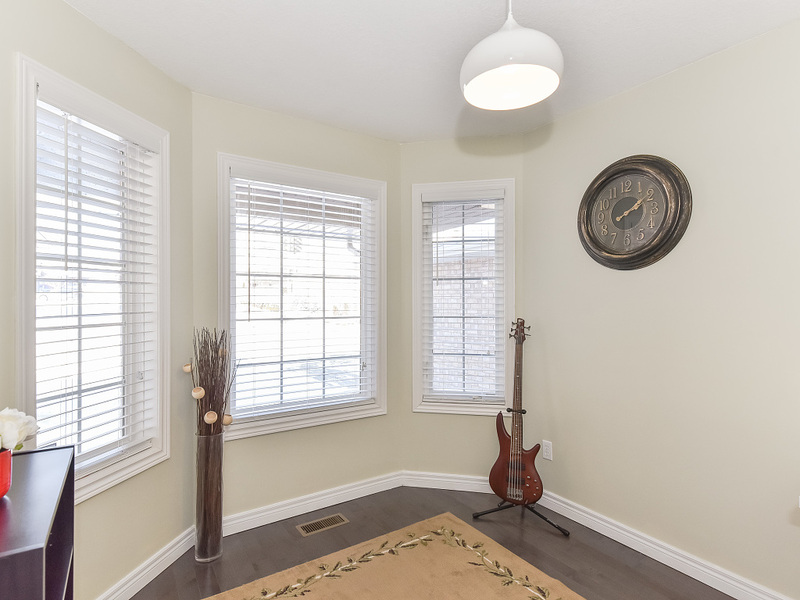 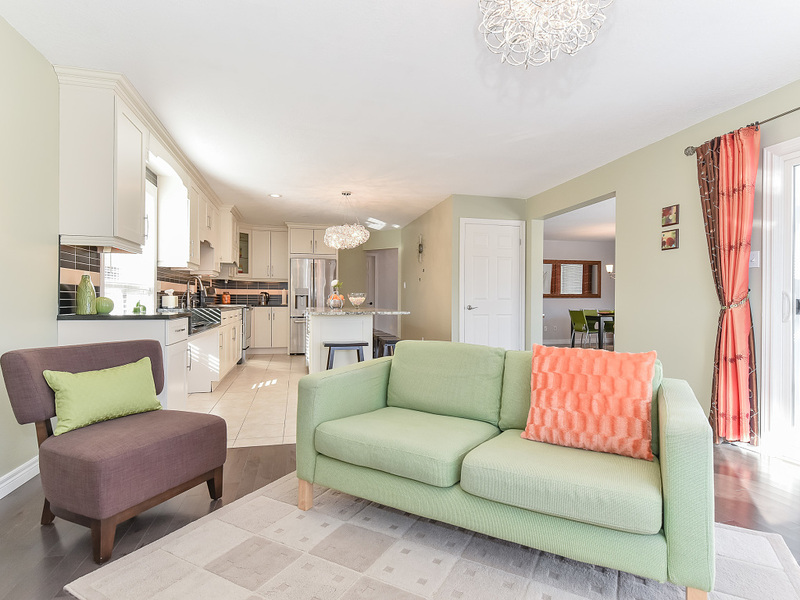 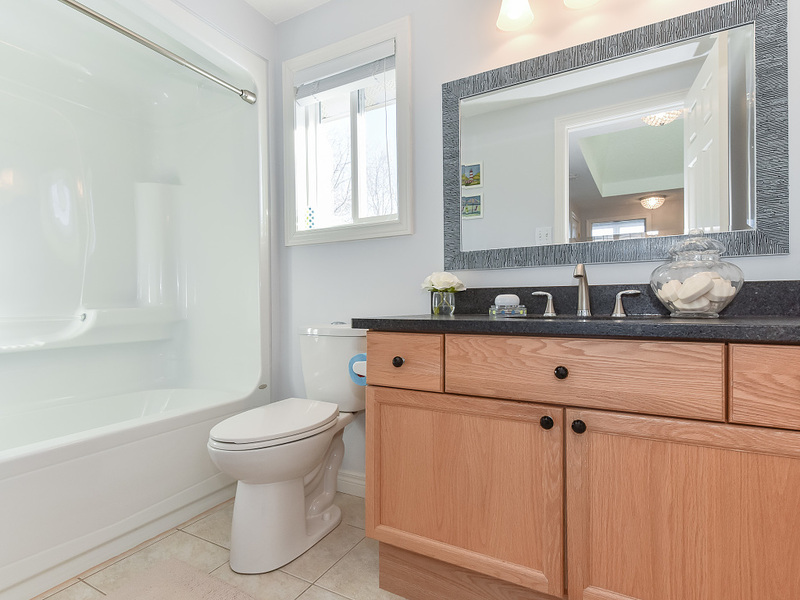 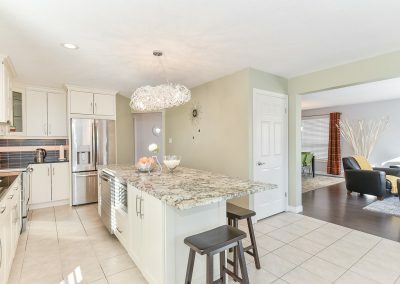 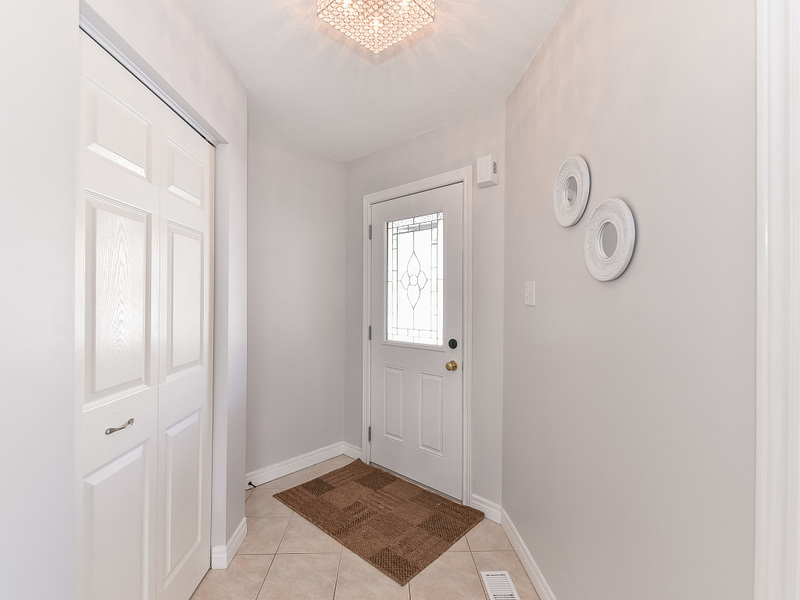 Spotless home in excellent condition, professionally renovated with high-end finishes.